Just imagine walking into an office every single day without anything in place to support the vision of the business, shape the culture and reflect what the company is all about. Believe it or not, it’s more common than you think which is why we see a lot of people failing to progress in their current roles and probably don’t even enjoy work. 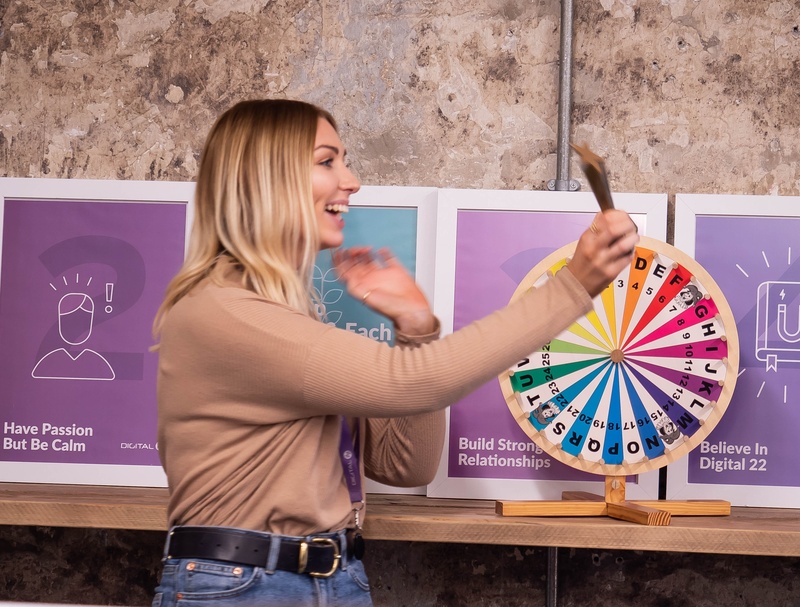 At Digital 22, we’ve adopted six core values that not only makes everyone in our team want to further their careers but also make it the most enjoyable place to work - all while keeping our clients’ growth and success in mind. Continue reading to find out more about them, what they mean to us and how we work towards them. Plus, if you like what you hear, then you’ll fit in pretty well here, just click on each core value below to learn more about them. We live by our core values as they give us all a purpose to be here and know the direction in which the company is heading. They give us an identity, shape our culture and show what the company is all about to the people already working here, those that are eager to be part of the team and even clients that can’t decide which agency they want to work with. We can’t just be ‘Digital 22’ without any context. Our core values clarify the identity of our company and remind us why we’re all here. The main focus here at Digital 22 is to help both our clients and our team members grow. The biggest way of making this happen is by following the rest of the core values that have been set, but we do a lot that actually goes into making this core value a regular success. To actually have in-depth knowledge about all of our clients from plenty of different industries, we never throw anyone in at the deep end and expect them to deal with everything. It doesn’t work like that. Instead, we have client visits, dedicated learning time to learn more about clients and regular meetings to keep everyone updated. Plus, we invest plenty of time and money in every single member of the Digital 22 team to aid with their development and career growth. That means sending people out on relevant courses and booking time to do some HubSpot training, for example. Basically, the best way we can make our clients grow is by helping each other grow first. Here's Amy spinning the prize wheel after becoming Employee of the Month. This is all about everyone at Digital 22 staying hungry to learn new skills and ways of working. Inbound marketing continues to evolve with marketing trends, so it’s important that we’re never static and stay too comfortable working in one particular way and not be open to change. We’re always keeping up with the latest trends in our industry and the expertise of our clients. It’s the only way we can stay at the top of our field. We’re always on the lookout for new educational materials, articles and anything else we all feel would benefit the rest of the team. Using Slack, we throw in useful resources pretty much every day for everyone to check out when they have time. We also have organised training plans so we’re always growing. If you’re lucky, you might even be taken along to INBOUND in Boston to soak up plenty of inbound marketing and HubSpot knowledge. Everyone at Digital 22 is passionate about what they do - it’s actually a key trait we look out for during the hiring process as we want everyone to be happy in their roles, wanting to progress and having that passion to succeed. This core value is all about caring about our responsibilities but we know that it’s never always straightforward, so it’s important that we don’t let stresses build up which can impact our mood. The great thing about the Digital 22 team is that everyone looks out for each other, so you’re never cast aside in a corner somewhere to deal with a workload all by yourself. By having that passion yet staying calm throughout it, it makes us all better people to work with. If you’re passionate about what you do and you can stay calm when the going might get a little tough, then you’ll be a perfect fit here. We never want anyone to be in a position where they wake up with cold sweats at 4am thinking about the two eBooks they need to finish designing. Another core value we emphasise at Digital 22 is building strong relationships both internally and externally. This means on a professional level in the office with the wider team and even socially - outside of office hours. We’ve found that doing this regularly makes for a stronger and happier team which then translates to happier clients. We’re not saying we’re all party animals who never get any work done, but we know how important it is to unwind here and there to keep us all sane. It’s not just an annual Christmas party either, we get the whole team involved regularly from the races to a sneaky Friday beer and doughnut challenges. Whether it’s trying to dethrone the office FIFA champion at lunch during the latest tournament or waking up on a Director’s sofa after a great night out (yes, it happened once - it won’t happen again), we’re always committed to building strong relationships so that the whole team gets along and enjoys working with each other. Yes. This is me shamelessly reminding everyone that I'm still the FIFA Champion. Our CRO analyst, Chippy Tom, has his own unique way of building strong relationships by making sure the weekly chippy list does the rounds before he goes to collect the order. Here he is. Chippy Tom. Always pulling through with the goods. It would be a bit strange if people didn’t believe in the company and the direction it’s heading in, wouldn’t it? This core value is about buying into what we are trying to achieve as a company and how we’re doing it. At the moment, it’s 100 percent HubSpot, but as we’re a growing, forward-thinking startup, we all buy into the team effort as well as any changes in approach or processes. It’s important that everyone is aware of how fast the company is growing, what’s changing and what that means for everyone. We all have a chance to voice our opinions in meetings or even during big company updates so nobody is left in the dark. If there’s anyone who doesn’t believe in the company and the goals we’re aiming for, then it’s obvious they’re not the right fit. That doesn’t mean we’re all yes-men and will only bring on people that will agree with every single decision thrown our way. Believing in Digital 22 means that everyone can have their input. They can give suggestions to make it a better place to work and improvements which can be made to make us a more successful agency. Keeping everyone involved and giving opportunities to help shape the future is what makes it a great place to work and develop further. It’s simple. Without our amazing clients, we probably wouldn’t be in this incredible position we’re in right now. Whether it’s respecting deadlines or maintaining the high standard of work they expect, this core value is exactly what it says on the tin - keeping the clients happy so we both maintain a healthy and successful relationship. All of the other core values contribute to this one. Building strong relationships keeps us happier and more motivated to complete client work to excellent standards. Being hungry to learn means we’re open to new ideas and methods we can utilise for our clients to achieve their goals. And, having the passion for client work we do obviously leads to better results. We don’t make false promises to our clients and we do whatever it takes to keep them happy without causing bottlenecks on our end. 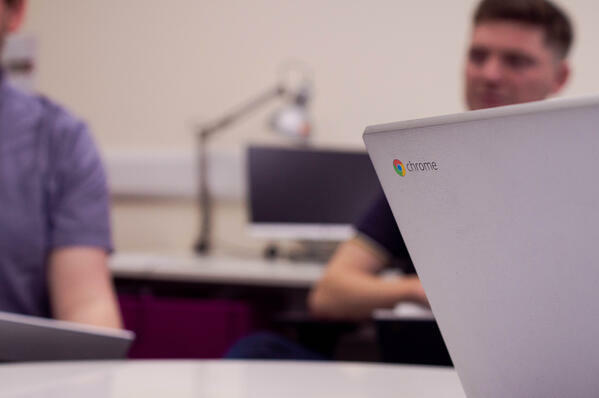 If you’re looking to develop your career further and you can relate to our core values, then Digital 22 could be the perfect place for you to grow. 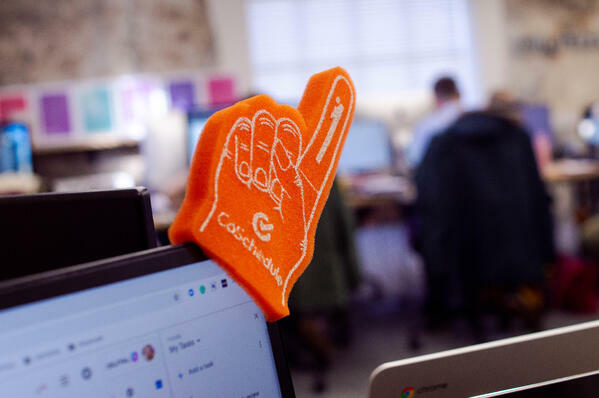 We’re always on the hunt for talented individuals who want to join a tight-knit team looking to take the next step of their inbound marketing journey. It’s not just inbound marketers we’re after either. We’re growing at such a rapid rate that we’re constantly on the lookout for talented writers, develops, social media marketers and more. If you want to continue learning and evolving with inbound marketing - and Digital 22 sounds like a place you can see yourself grow - then check out the current vacancies we have available by clicking the button below.